In a three-year deal made earlier this month, Liverpool FC announced Petro-Canada Lubricants Inc (PCLI) as a global partner. 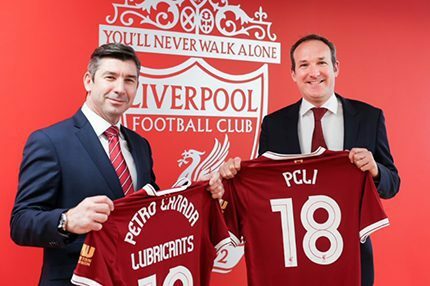 “We’re delighted to welcome Petro-Canada Lubricants as an official partner of Liverpool FC,” said Billy Hogan, managing director and chief commercial officer. PCLI is a leading refiner and lubricant manufacturer. For over 30 years, it has researched, developed and produced world-class oil and lubricants for agriculture, construction, automotive and health & beauty industries. The brand will use its international presence to create unique programs for its customers and fans alike, including exclusive access to money-can’t-buy LFC experiences. “Liverpool Football Club is an internationally recognised team renowned for their endurance, reliability and competitive edge,” commented Mark A. Plake, president, Petro-Canada Lubricants Inc.